Bankruptcy is far from the end of the world. Many Americans simply don’t realize how common financial distress can be, the rights they have, and the solutions available to them. Speaking the bankruptcy attorneys at Allen Stewart, P.C. can be the first step toward getting back on the road to financial security. 1. A potential new client calls Allen Stewart, P.C. and speaks with a bankruptcy attorney. After discussing their personal financial circumstances including income, expenses, outstanding debts and their plans to pay them off, a bankruptcy attorney will discuss the best plan moving forward and help determine which, if any, type of bankruptcy is best: Chapter 7, Chapter 11, or Chapter 13. All this information is filed with the bankruptcy court in forms known as schedules. 2. The client works with an attorney to determine which assets they can keep. State and federal laws make certain assets, such as homes or vehicles, exempt from bankruptcy. This means the debtor cannot be forced to sell these assets to pay creditors. 3. The client takes a mandatory credit counseling course online. This course must be completed before the bankruptcy is officially filed with the court. Chapter 7 bankruptcy clients must complete a second course in “financial management” six months after the filing, while Chapter 13 clients must complete the same course in three to five years near the end of their repayment schedule. 4. 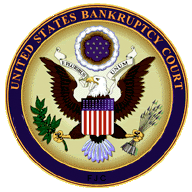 The bankruptcy attorney files the bankruptcy paperwork with the court. This includes all required schedules, bankruptcy plans, and certain other required information with the trustee’s attorney, including tax and income statements. 5. Within 45 days of the bankruptcy filing, a 341 Meeting of Creditors is held involving the debtor, their attorney, their creditors if any choose to attend (often, none do) and depending on the chapter of bankruptcy, the meeting is conducted by either a Chapter 13 Trustee representative or in a Chapter 7, an attorney acting as a representative from the U.S. Trustee Program, which oversees bankruptcy case administration for the U.S. Department of Justice. The debtor and their attorney explain the circumstances surrounding the bankruptcy, answer pertinent questions on the Debtor’s financial condition, and present all required documentation. If the representative conducting the meeting concludes the meeting and determines there are no non-exempt assets that can be used to pay creditors, the trustee recommend the Debtor receive a bankruptcy discharge. The trustee recommends a discharge by filing a report stating there are no non-exempt assets to be sold to pay debtors. 6. Parties with an interest in the bankruptcy have 60 days from the original date set for the 341 Meeting to file objections to the discharge of a particular debtor; an objection can be based on the circumstances surrounding a particular debt or if the debtor allegedly conducted themselves in such a way that they are not entitled to good faith bankruptcy relief. If no objections are filed, the court grants an order of discharge for a Chapter 7 bankruptcy given the debtor has completed a second financial management course. After the discharge, the court will eventually close the case out in its online system. 7. In a Chapter 13 bankruptcy case, the court grants an order of discharge after the debtor completes the payment plan within three to five years, given the debtor has completed a second financial management course. The bankruptcy process doesn’t have to be daunting; it’s the first step on the road back to financial peace of mind. The attorneys of Allen Stewart, P.C. can guide you through the process and stand with you every step of the way. Contact us today.